We recently had a wonderful little party at SwellColors- a surprise baby shower! At SwellColors, we are more than happy to host your small friend/family event. We offer space for your private party, as well as a variety of class options to fit your budget. You can host any number of occasions here at SwellColors- including birthday parties, bridal showers, girls' night, bachelorette parties, anniversary parties, and much more! This baby shower was such a treat to host, what a happy and loving family! The new little fella is a lucky one, with friends and family that spend time together and laugh and love. Everyone was invited to make a special fused star, to be collected and made into a one of a kind mobile for the new baby. Check out all the fun they had below! 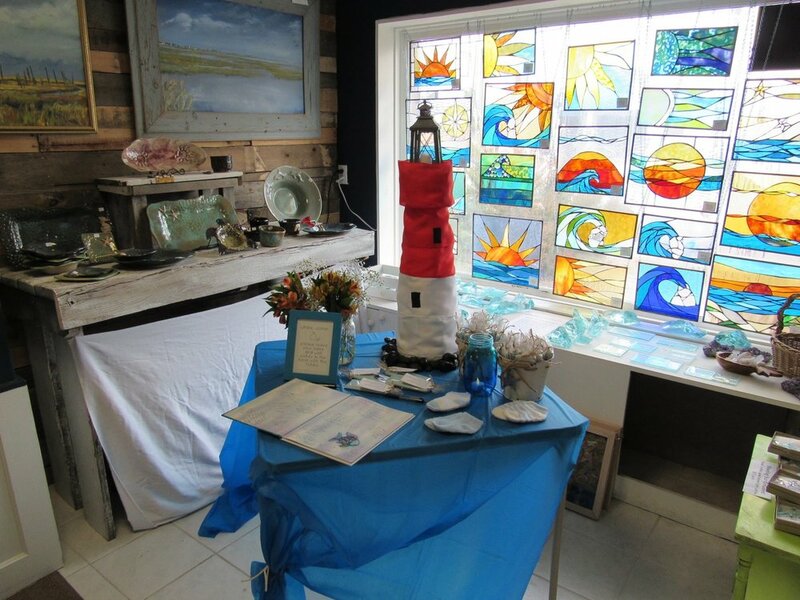 If you want to host an event at SwellColors Glass Studio- call 609-494-7600 or email mary@swellcolors.com today! This family had a beach-themed baby shower for the soon-to-be- born baby boy! Aren't these clothes just so adorable? We set up a welcome table, with an Old Barney diaper tower! Everyone was invited to write a note to the mom and babe to be! 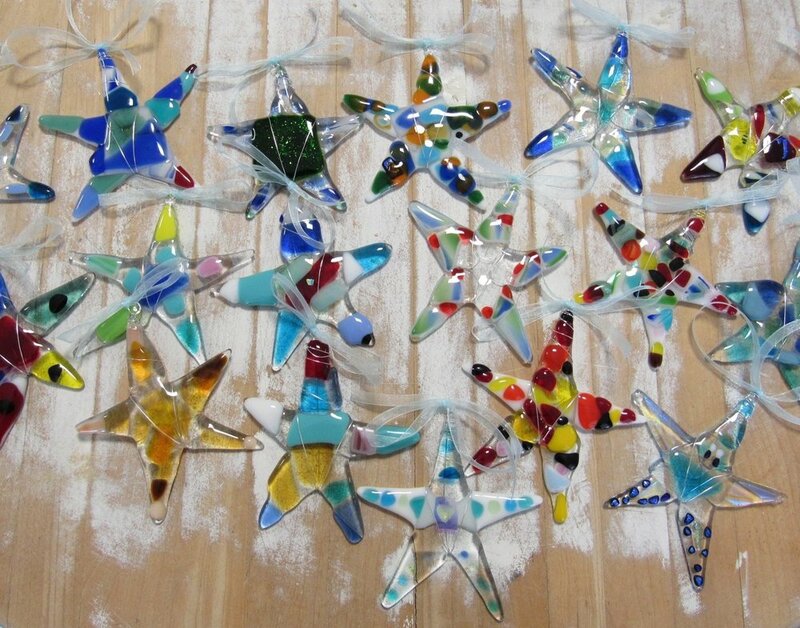 As part of the event, everyone made a fused glass star to give to the baby! Chocolate party favors, loved by all! Daily Stained Glass Window! February 24th: "Playa Verde"